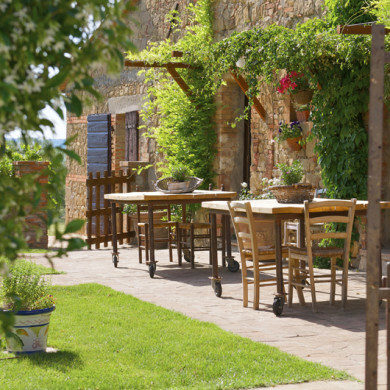 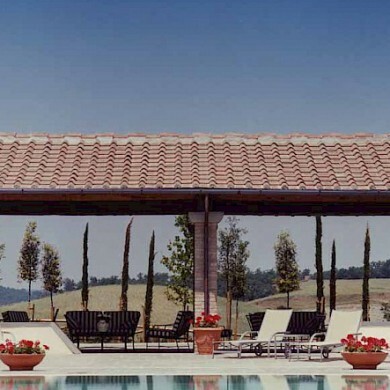 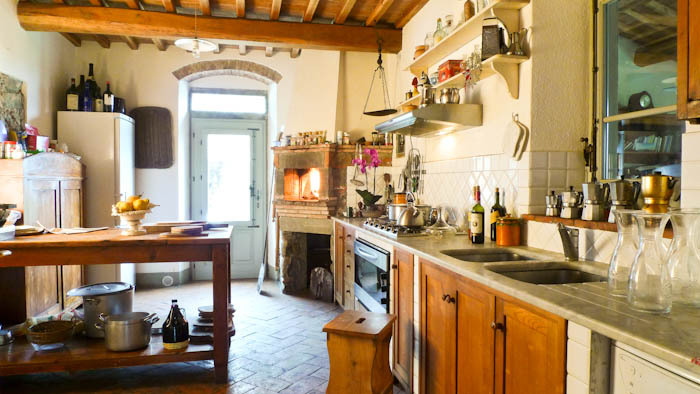 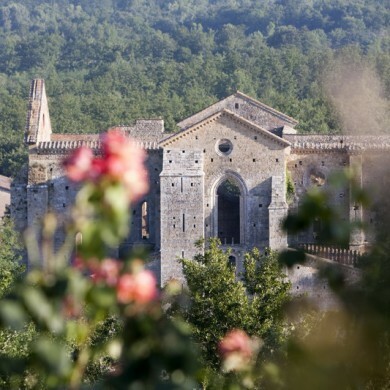 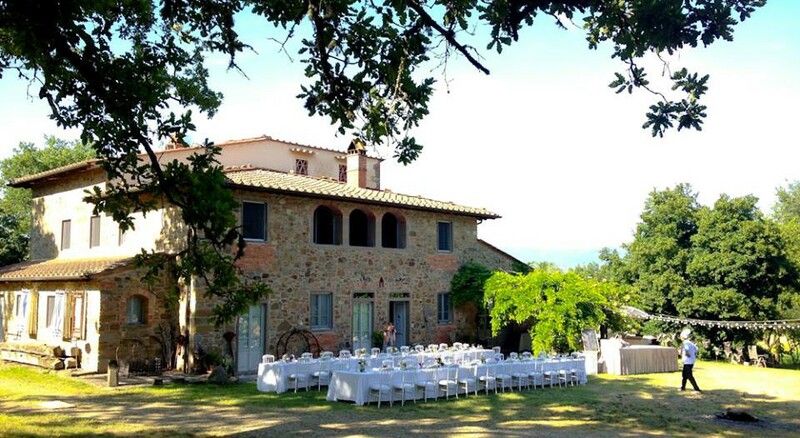 Surrounded by centuries-old oaks, olive groves and meadows, Villa Francesco is a gorgeous stone farmhouse nestled in the Chianti hills. 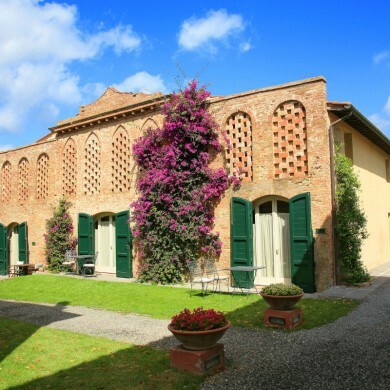 The villa was built more than 300 years ago. 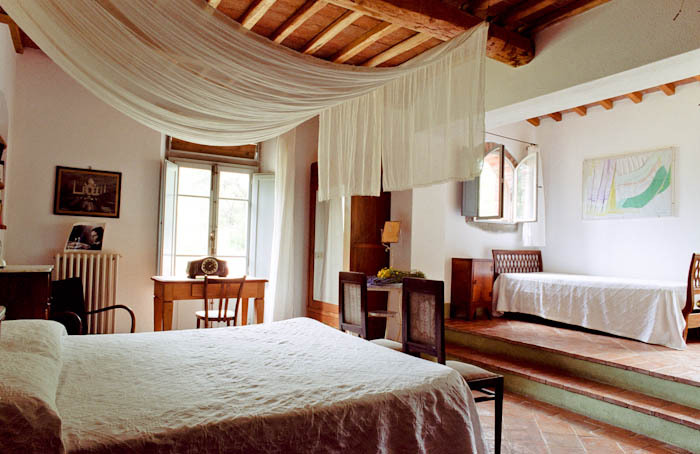 The restoration has kept the spirit of the house, respecting the original architecture with use of hand-made special materials following bio-architecture parameters. 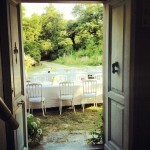 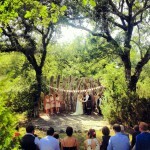 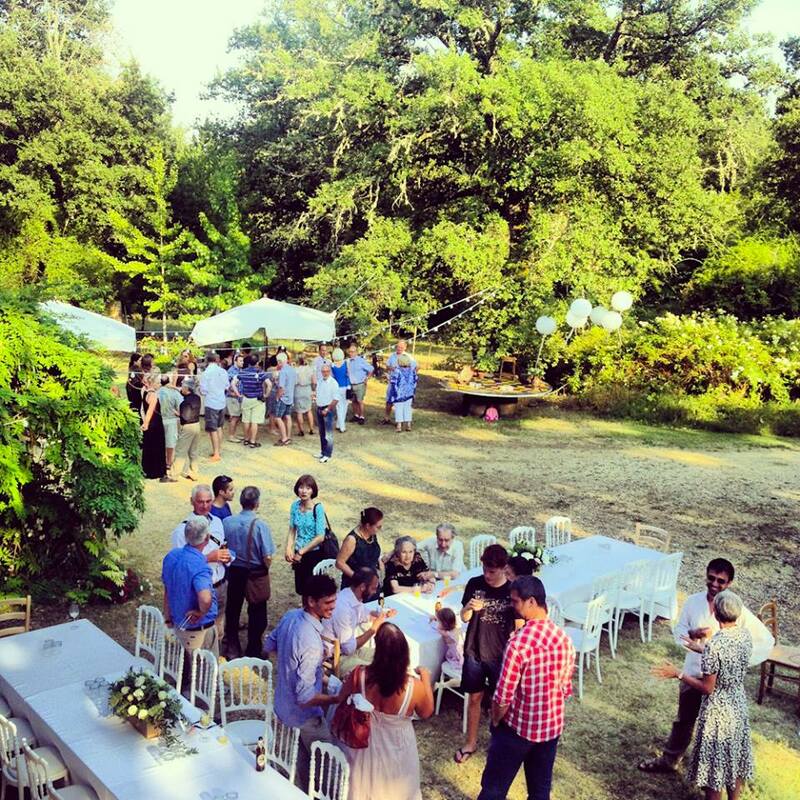 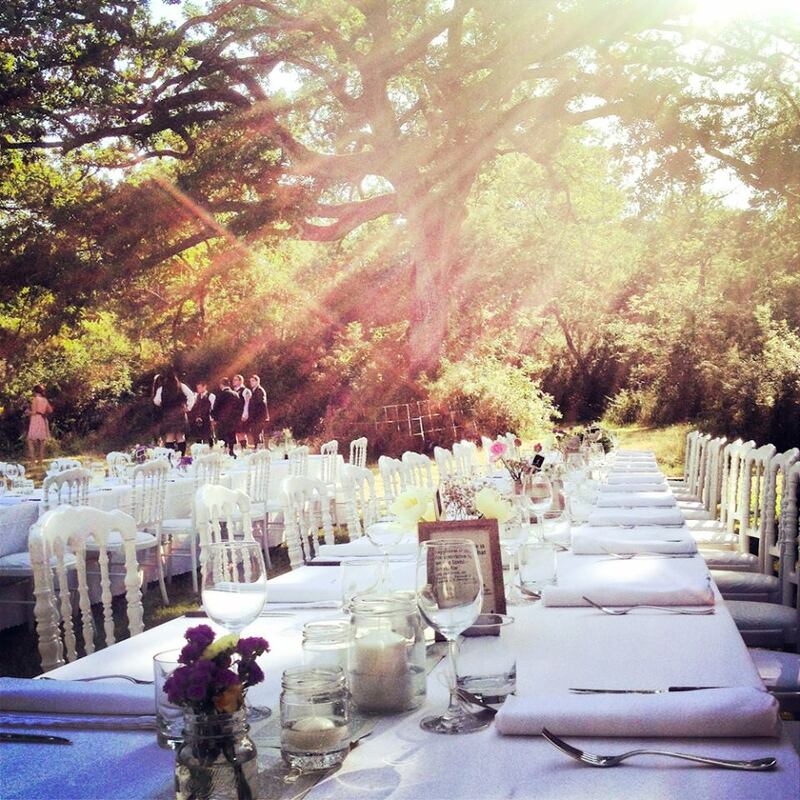 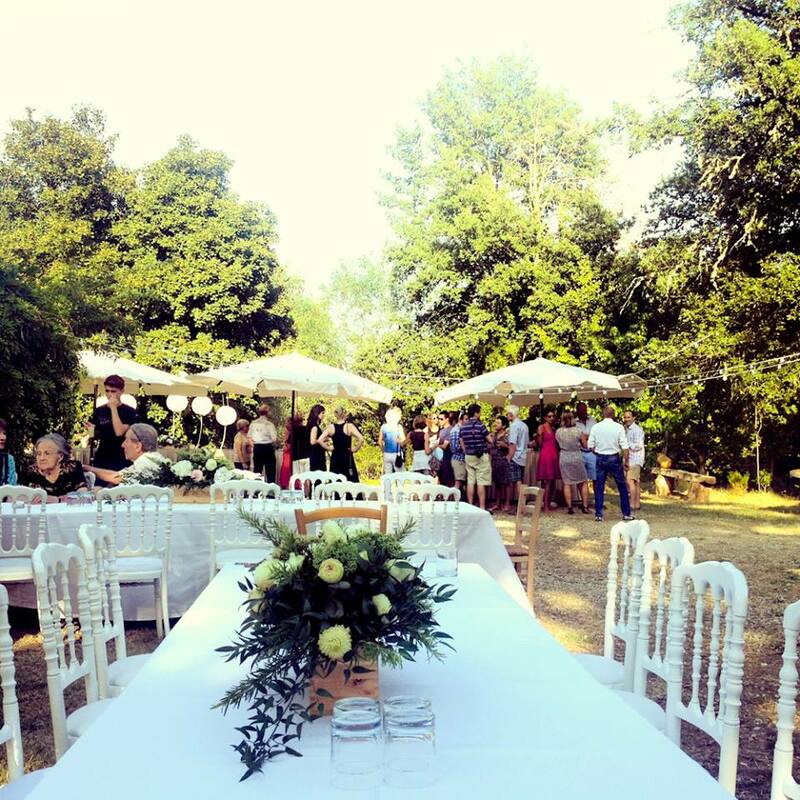 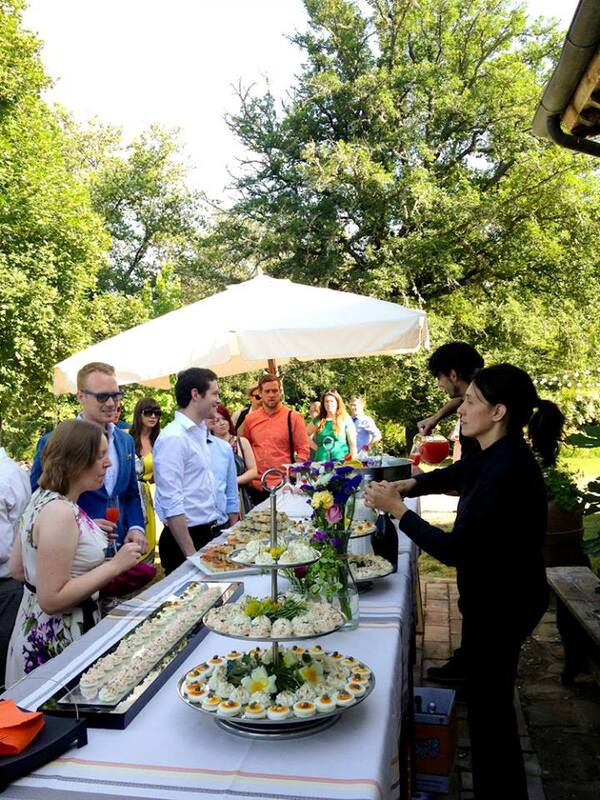 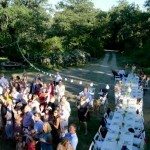 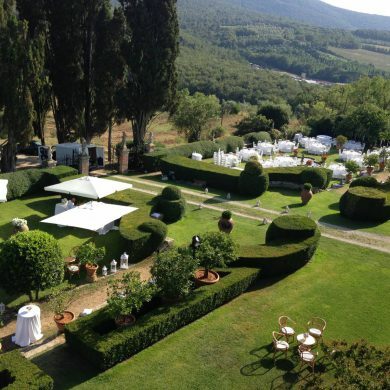 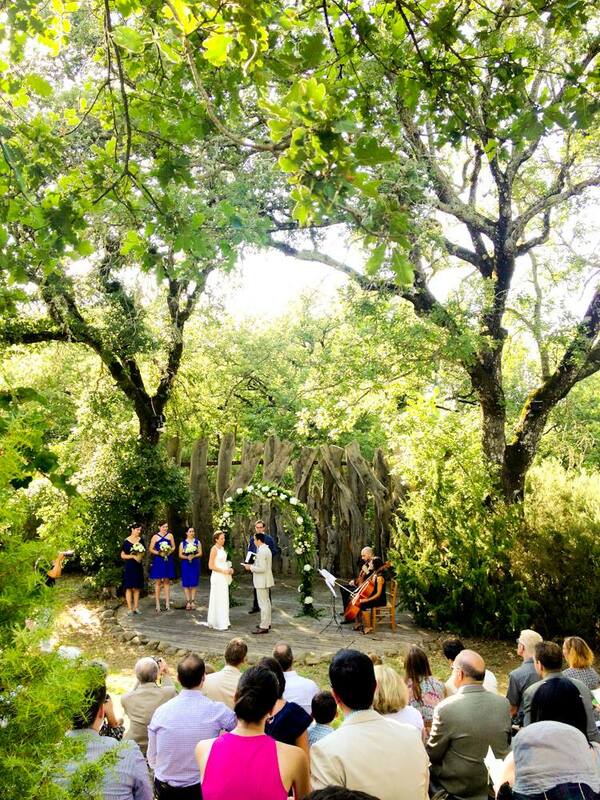 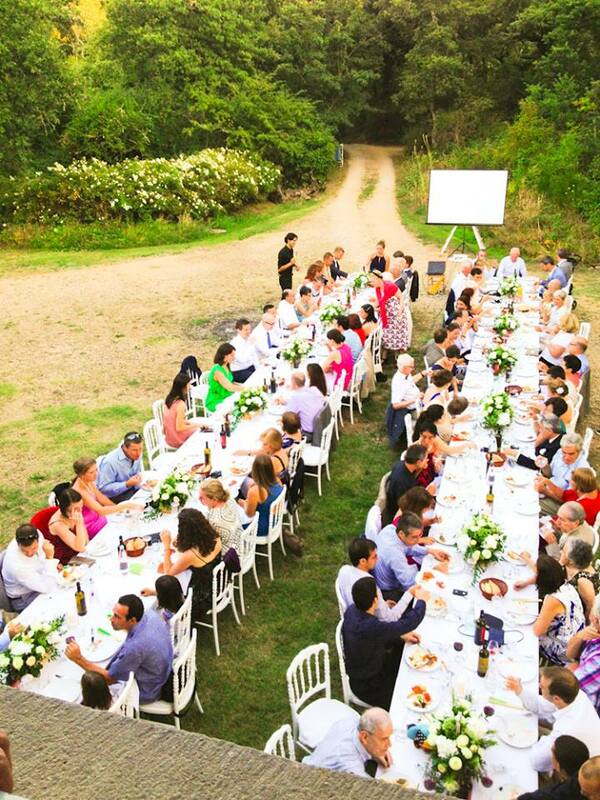 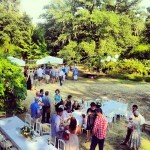 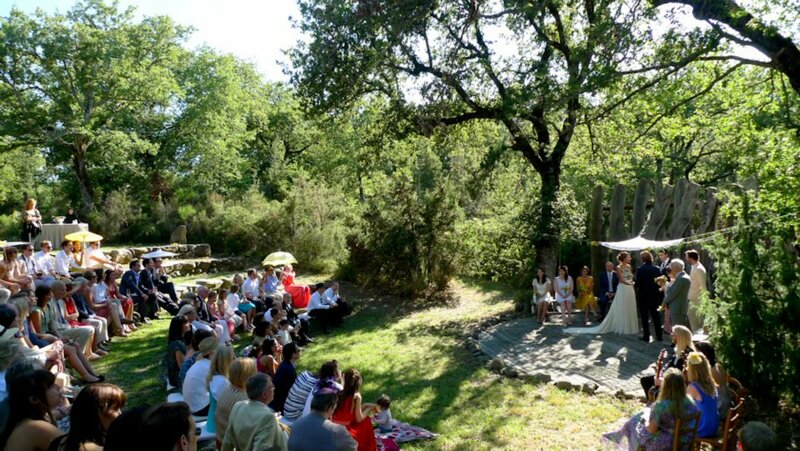 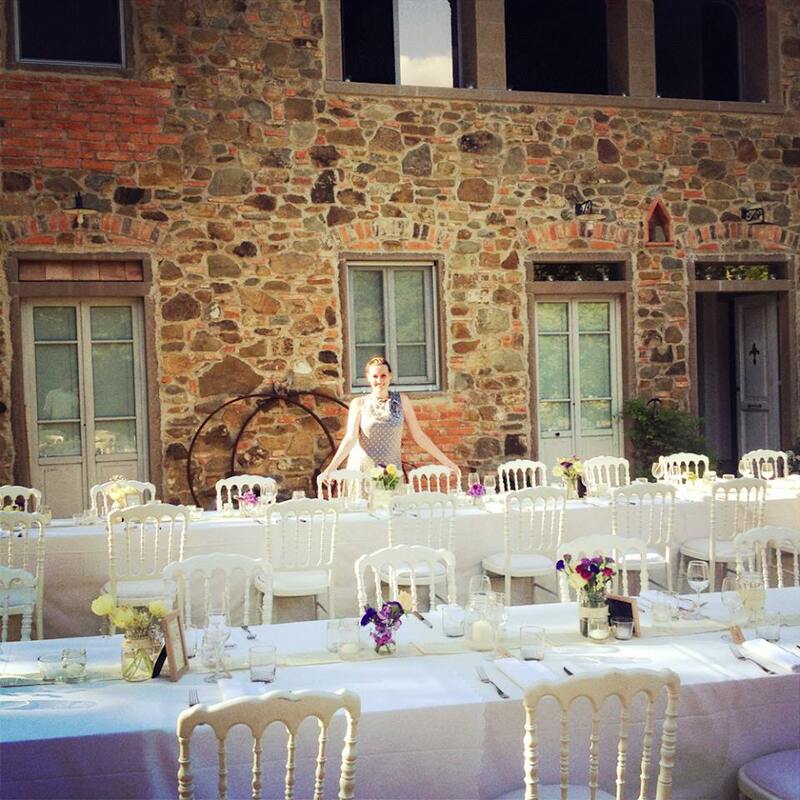 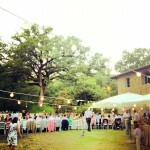 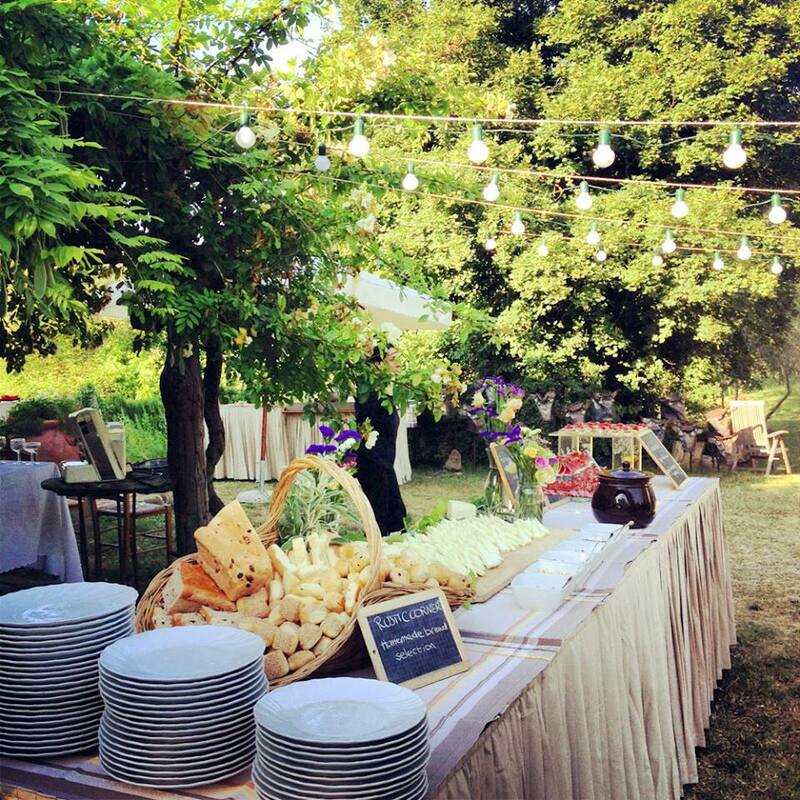 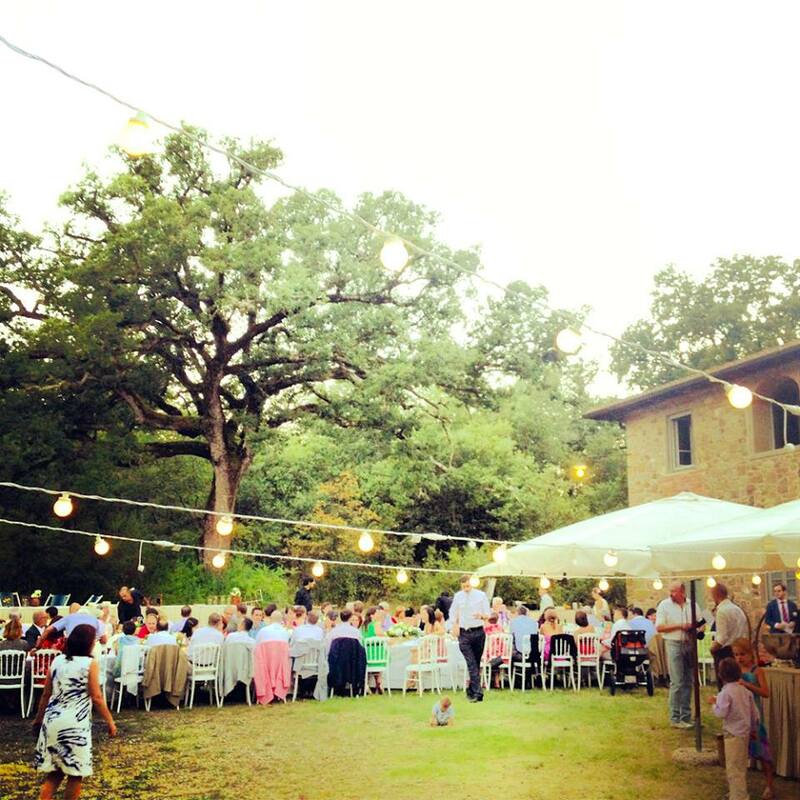 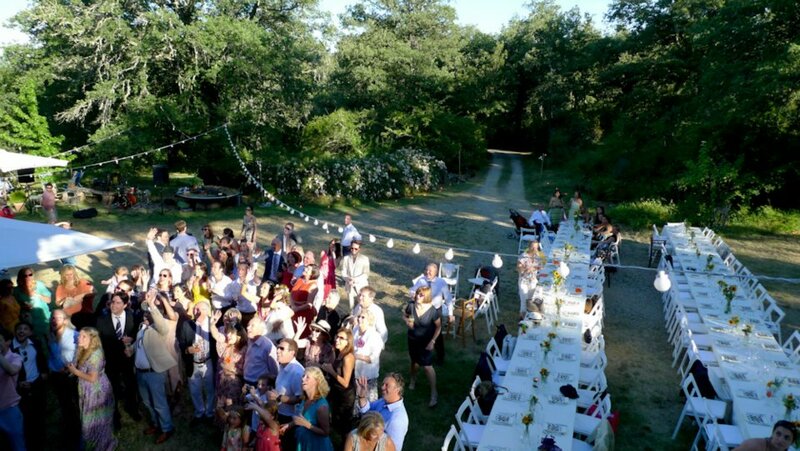 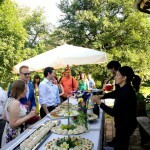 You can choose to hold the wedding reception in the beautiful gardens of the villa, or in the wooden yoga pavilion. 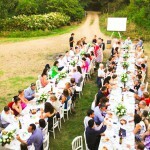 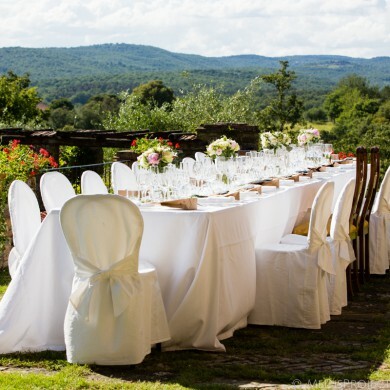 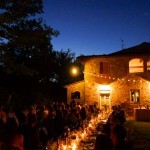 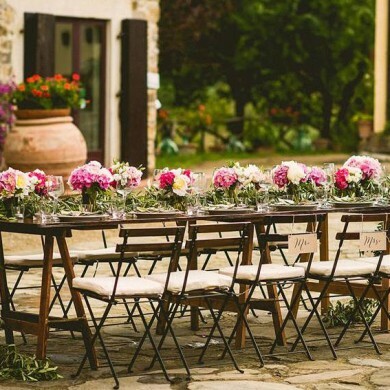 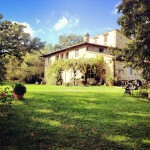 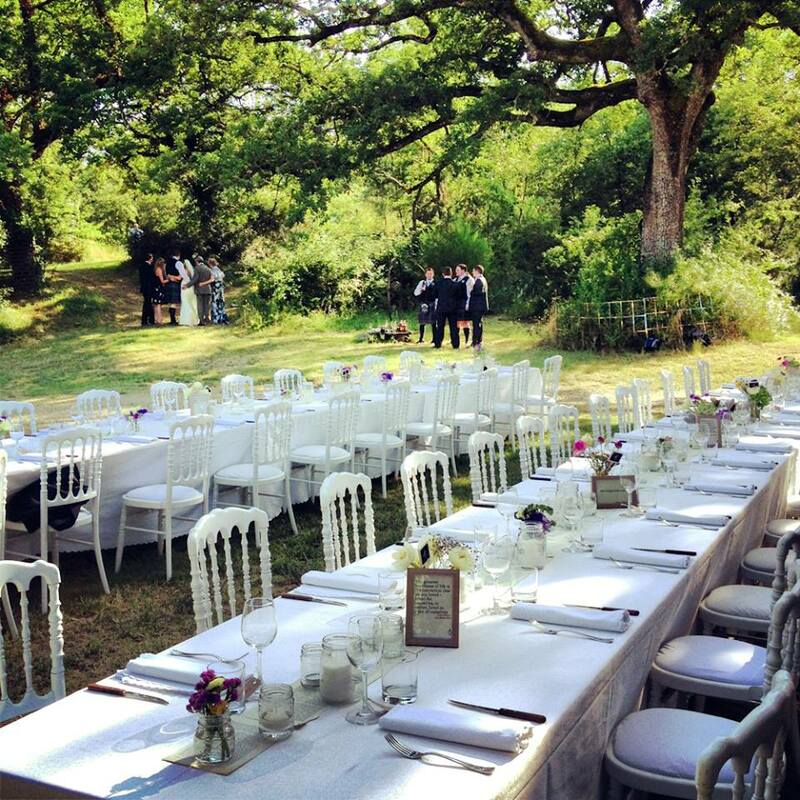 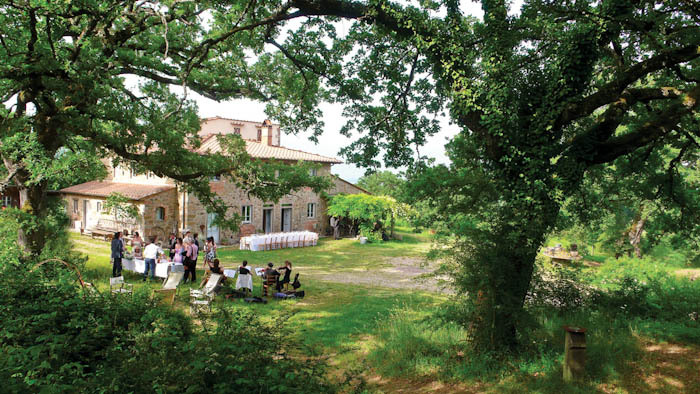 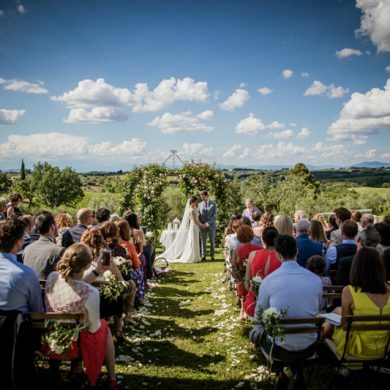 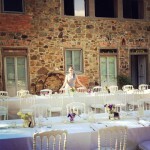 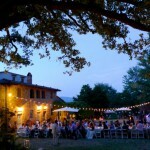 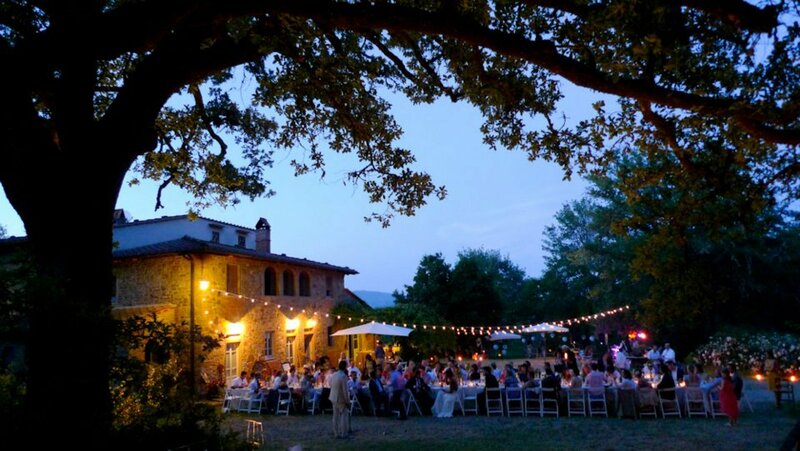 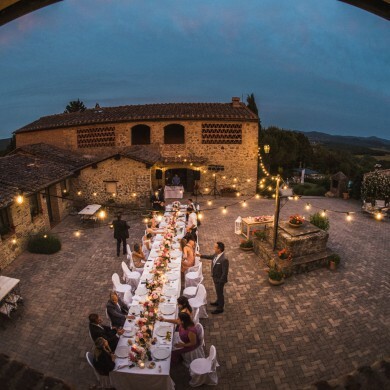 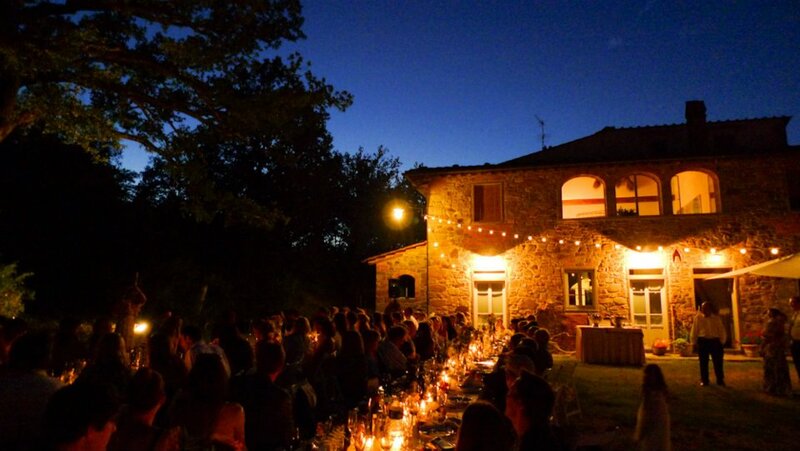 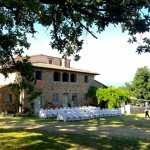 The villa can host weddings for up to 100 guests. 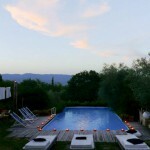 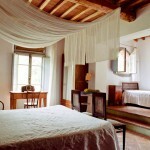 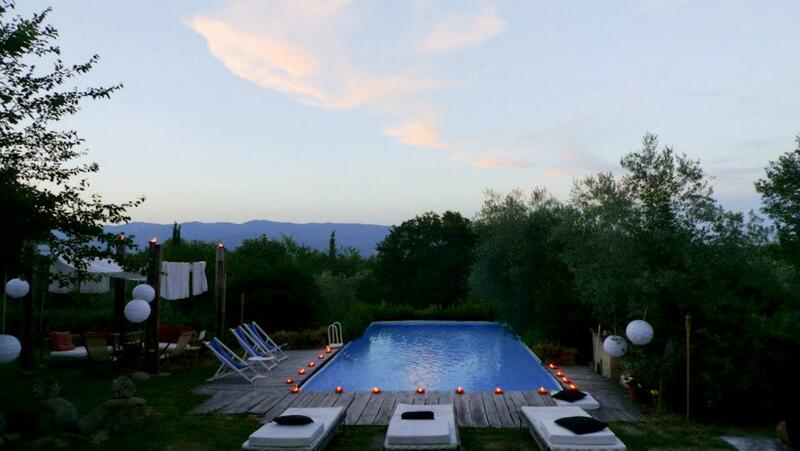 The villa can host up to 16 overnight guests. 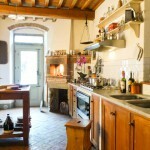 It has 2 fully equipped kitchens, 7 bedroom, and 6 bathrooms. 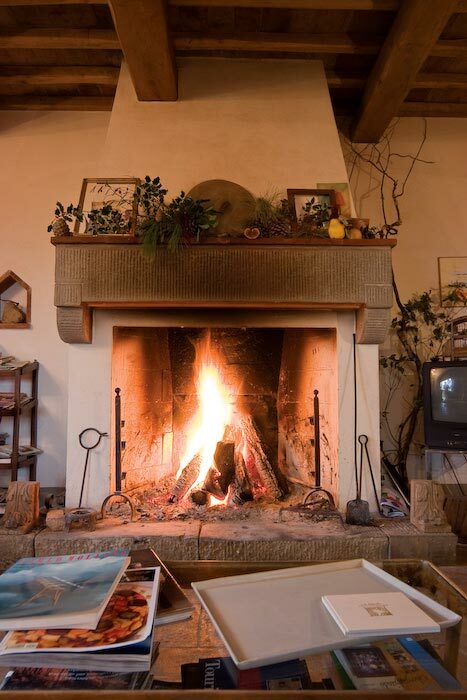 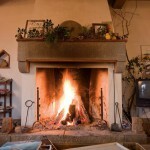 Extra guests can be accommodated in nearby B&B/guesthouse facilities. 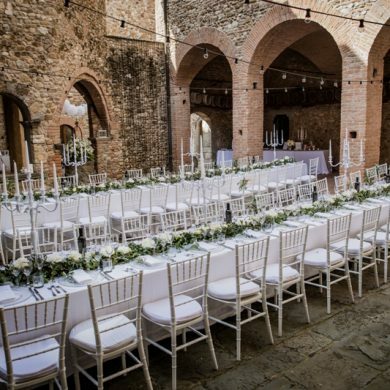 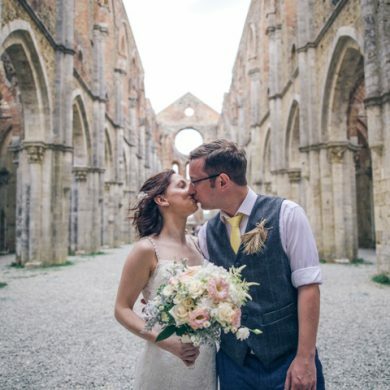 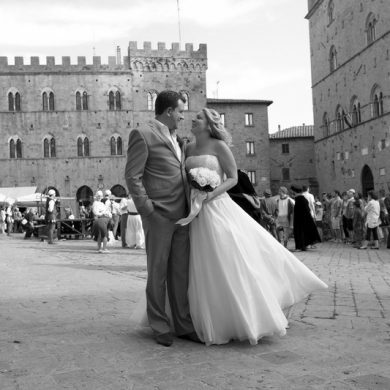 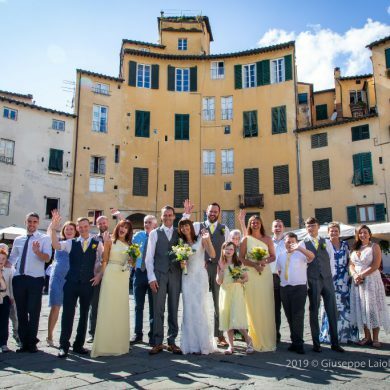 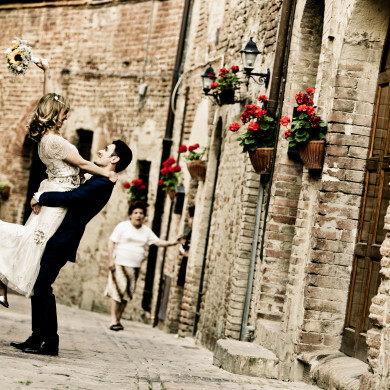 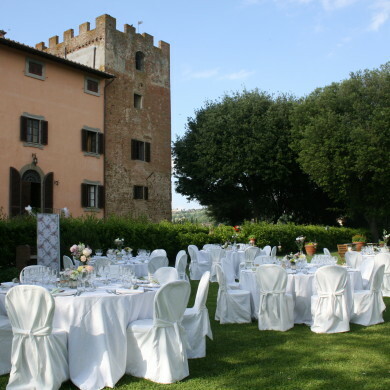 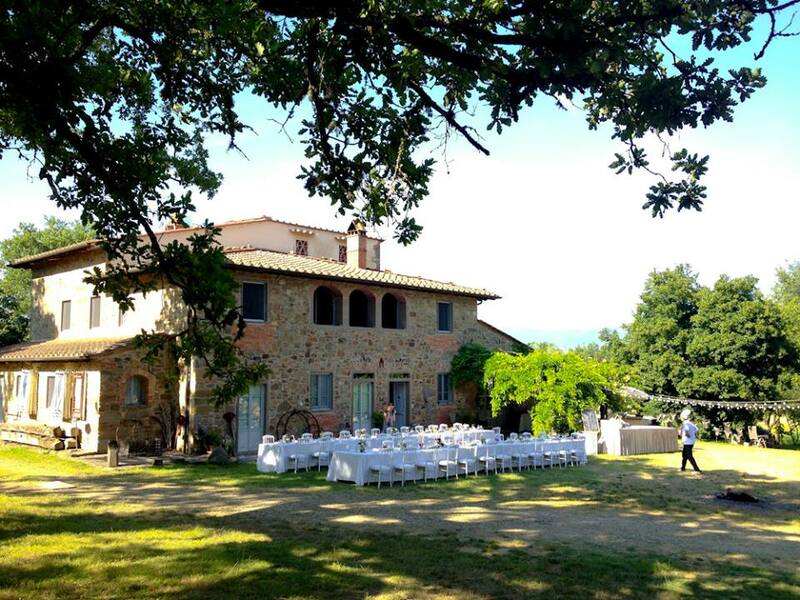 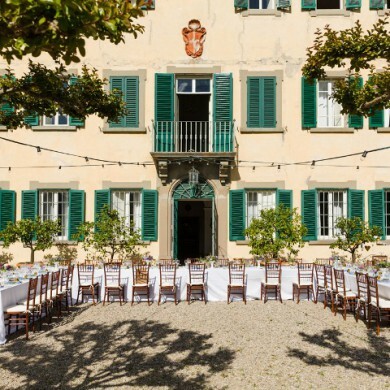 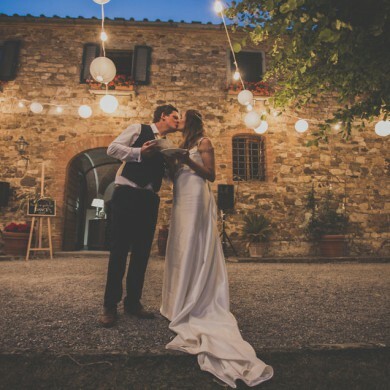 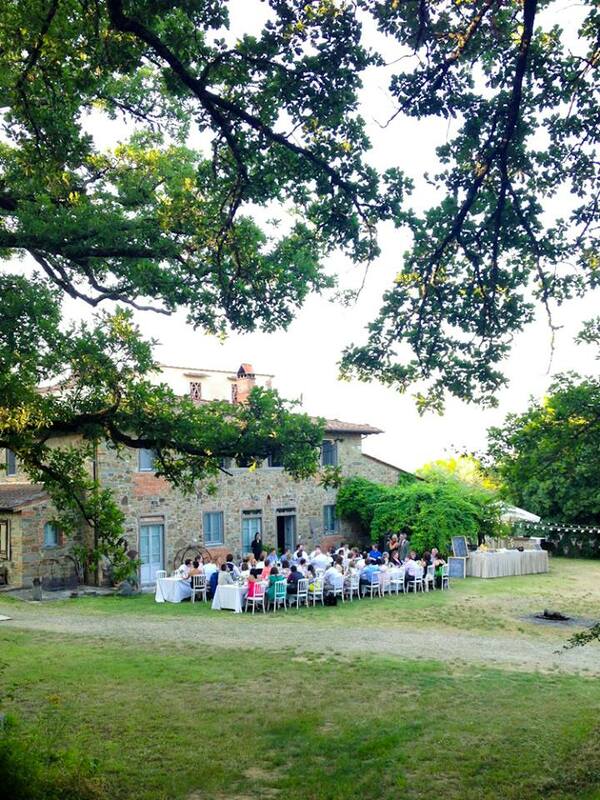 The civil wedding can be organised in the Town Hall of the adjacent small Chianti. 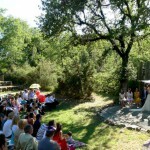 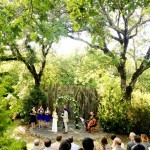 Blessings can be performed in the garden of the villa or in the beautiful amphitheater. 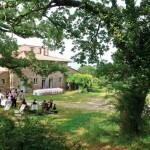 A Catholic wedding can be organised in a church nearby. 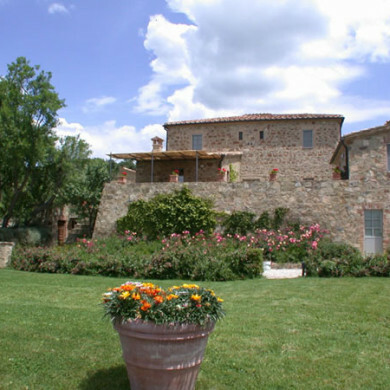 The nearest village is 6 km away. 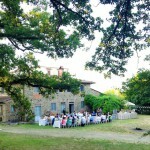 Firenze 50 km, Siena 40 km, Arezzo 30 Km .